Rehabilitation Through the Arts? (RTA)?is all about second chances. Not only does it give prison inmates a second chance at life by teaching them the skills they’ll need to succeed in the world once released from prison, but it also gives the world a second chance at the way they view those who are incarcerated. The non-profit organization brings theater, dance, visuals arts, music and writing into five New York State prisons, including Westchester’s Sing Sing Prison in Ossining and Bedford Hills Women’s Correctional Facility, as well as Woodbourne, Green Haven, and Fishkill correctional?facilities. They’ve recently added Rikers Island to their roster of prison programs. 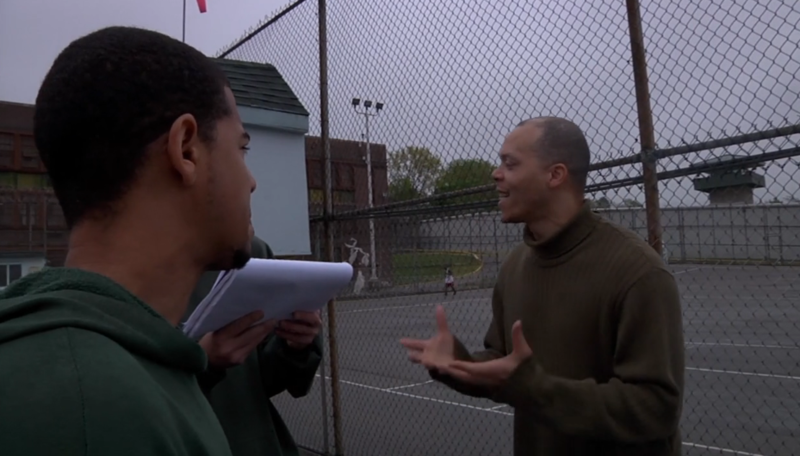 New York’s local PBS station, THIRTEEN, will feature the full-length documentary “Dramatic Escape” about RTA’s production of “A Few Good Men” at Sing Sing Correctional Facility on Tuesday, June 13 at 9:30 p.m. and again on Sunday, June 25 on WLIW21. “Dramatic Escape” is written and directed by Nick Quested and is a production by Goldcrest Films and Saboteur Media. Through the transformative power of art, inmates find their voice, discover their talents, and learn empathy which RTA?says has led to reduced infractions, a 5 percent recidivism rate, and the pursuit of college and post-graduate degrees. Love Westchester Woman? Help Support Us! ?Facebook?/Twitter?/Donate?/?Newsletter Sign Up?/?Advertise? The documentary offers an inside look at how art changes an inmate’s outlook on life and offers them the skills they need to successfully reintegrate into society. “Dramatic Escape” shows the process of prisoners who go through an audition to curtain call, all while telling their personal stories, struggles and contemplating the possibility of redemption. RTA helps more than 200 incarcerated men and women to develop vital social and cognitive?skills like?communication, problem-solving, conflict resolution, self-discipline and goal-setting six days a week. They invite inmate families and members of the public to view their public performances. Most of these inmates grew up without art in the lives and surrounded by poverty or unfortunate circumstances, but RTA shows them that another life is possible after their time is?served. RTA says their program is a cost-effective way to change behavior while providing humane incarceration with successful results for reentry into the world. You can learn more about RTA, their programs, and how to support their work by visiting their website at rta-arts.org.